As a wine enthusiast, I love to pick a wine region that I haven’t yet explored and immerse myself in the flavors, aromas and terroir of the region. Mendoza, Argentina, is excellent for this, with its world-class wines, breathtaking views and burgeoning wine tourism. While Mendoza wine tasting hasn’t reached the ease of Napa Valley, getting around to the best wineries in the Mendoza doesn’t have to be difficult. The best way to see the entire region at your own pace is to hire a driver (this may be expensive, but is necessary) for three days and set out to visit up to four Mendoza wineries per day in each of the three wine regions, Lujan de Cuyo, Uco Valley and Maipu. Each Mendoza wine region has a unique feel, but if you can’t make it to all three, a day-trip to one or two will suffice. All of our suggested itineraries below have a good mix of modern, large commercial and family-owned wineries. Learn more about the Mendoza Wine Region and traveling in Argentina. If you’d rather not plan your own Mendoza Argentina wine tour, you can rely on the expertise of a guide or driver. We had a private driver who planned out the stops and the route for us, with our input on the wineries we wanted to visit. It’s a great way to go, so you don’t have to worry about driving and getting lost. You can book a tour in advance. We think it’s best to go with a private tour, like this one from Viator. Or a small group wine tour like this one. About 40 minutes south of Mendoza, this region is considered to be where wine began in Mendoza. Its elevation at an average of 3,000 feet above sea level makes its terroir very unique. Luján de Cuyo was also the first region to institute the AOC (Appellation d’Origine Controlée) for Malbec in 1993, which greatly advanced the wine industry in Mendoza. Started by a group of friends in 1998, Archaval Ferrer is committed to producing small quantities of fine red wine. It’s a small working winery and you’ll witness that firsthand as you tour the internal workings of the winery, walking directly through areas that are integral to their production process. At the end of the tour, you’ll stop for a barrel tasting in the cellar. Ruca Malen takes visitors on a larger-scale journey through the winemaking process to see how modern techniques have been implemented. If you’re lucky, you arrived here at lunch time to indulge in the highly creative five-course menu with wine pairings that’s served in a sunny solarium with a unequaled view of the vineyards and surrounding mountains. They also offer an interactive blending class. ⇒ Treat yourself to a gourmet 6-course lunch at Ruca Malen – book here! Winery address: Ruta nacional 7 km 1059, Agrelo, Mendoza, Argentina. Bodega Vistalba is unique in that the winery was designed so that the whole winemaking process takes place using gravity, without the use of pumps. The tasting room is also underground. You’ll have the opportunity to choose from many different wine tasting packages: Corte A, B or C. They also serve a tasting menu for lunch at their restaurant La Bourgogne. ⇒ If you’re interested in visiting the wineries on a bike tour, sign up for this 6-hour bicycle tour through the Luyan de Cuyo region, starting at Vistalba winery. This boutique winery is housed in an architecturally restored 1920s building that establishes the feeling of old world charm when you enter. A tour will take you through the working winery and end with a tasting of the different levels of wine they offer, served alongside a cheese plate. You can also enjoy lunch or dinner here, or just grab a glass while you enjoy the outdoor seating. The founding father of Catena Zapata, Nicola Zapata, arrived in Argentina in 1898 and planted the winery’s first grapes in 1902. Since then, the Zapata family has passed the wine-making tradition through the generations and continues to produce some of the area’s most outstanding wines. Reservations: Use the only form or call directly. On the cusp of Maipu and Lujon de Cuyo is Casarena Winery & Vineyards, named after the earth-toned stucco exterior of the winery, which opened in 2007 after a rebuilding of the original century-old family winery that was on the location. Casarena is open for tastings and tours Monday – Saturday with an appointment. Their restaurant is also open for lunch with a reservation. It’s a beautiful outdoor patio space that is perfect for a long lunch, while enjoying the high-quality wines of Casarena. We particularly like the Jamilla’s Single Vineyard Perdriel Malbec. Located the furthest away from the city, about a 75-minute drive, Valle de Uco is the newest wine region in the area and is also one of the highest-altitude wine regions in the world, having some of its vines planted 4,000 feet above sea level. It’s a longer journey to get there, but very rewarding, not only for the world-class wine, but the amazing views and incredible, modern architecture. A masterpiece of modern architecture, Salentein is built in the shape of a cross as a symbol of the area’s religious roots and to increase production in the winery, both of which you’ll learn about on the tour. There are no better views of mountains and vineyards to be found in all of Mendoza. It is just stunning here, and the winery fits right into the middle of the vineyards. It is located at 4,000 ft in elevation, which in combination with the terroir, gives a unique expression to the wines. Along with the fantastic views from the property and the stunning cellar that can house up to 5,000 barrels, Salentein also houses a gallery with exclusive collections of Argentine art, and a restaurant where you can stay for a lovely 3-course lunch. Andeluna Cellars winery and vineyards are situated along the Andes Mountains, over 4,200 feet above sea level. Tour the state-of-the-art facilities before enjoying a glass of wine at the tasting bar, or a special tasting of their Reserve, Limited Reserve and Grand Reserve wines in the wine cellar. They have a great restaurant that serves a 5-course meal paired with your preferred tier of wine. The family-owned wineries are a great way to discover fantastic Mendoza wine. The main objective of Domaine Bousquet — a small, family-owned winery — is to combine the European winemaking style (the family hails from France) with the cool climate and terroir of the Uco Valley. During the tour, you’ll walk through the vineyards and visit the winery to learn the steps they employ to create such beautiful wines. Then enjoy a tasting of all three lines of wine. Domaine Bousquet also has a lodge and cooking school for further exploration into the region. Gaia Restaurant serves a 4-course or 6-course lunch with wine pairings in the rustic and charming tasting room. Maipu is the closest region to Mendoza city — a quick 15-minute drive — so if you’re short on time, this is the region to visit. The main varietals produced in Maipu are Malbec, Cabernet Sauvignon and Pinot Noir, and this area is home to some of the largest names in the industry. The mostly flat vineyards are located at around 2,600 ft in elevation. The sunny days and cool nights make for perfect conditions in which to grow intense fruit that results in full-bodied wines with great structure and tannins. While the Trapiche brand has been around since 1883 – one of the pioneers in Mendoza wine making, the building they occupy has a much different story. The original owners of the building, which was built in the early 20th century, sold it in 1970 and it was abandoned soon after. Trapiche acquired it in 2006 aiming to rescue and restore its original structure. They recycled the interior and incorporated the latest technology and equipment for the production of their high-end wines. A tour of the facility exudes the historical qualities that make it unique, including the glass floor in the tasting room that gives a view into the barrel room below. Trapiche owns 1,255 hectares of vineyards. Their wine has won many awards, beginning with the first in 1889. It’s clear that they are a formidable competitor in this market, and because of that you probably recognize the label from home. Their wine is exported all over the world. The highlight of Tapiz is the horse-drawn carriage ride around the vineyards that is included in the tour. The vineyards are planted at 920 to 1,400 meters above sea level, and the abundant daytime sun and cooler nights create the perfect climate for production. After the ride around the vines, you’re welcomed inside the winery where you’ll try samples straight from the fermentation vats and barrels. Club Tapiz also has a hotel (Hotel Club Tapiz) and a restaurant that’s open daily from 7am to 11pm. They have an ala carte menu and a multi-course menu served with Tapiz wines. Be sure to book in advance. Familia Zuccardi is one of the most well-known wineries in Mendoza. In fact, it’s more than just a winery. In addition to wine, they also produce olive oil, offer daily tours and and tastings, host cooking classes. Sabastian Zuccardi, the 3rd-generation winemaker at Zuccardi has been recognized as one of the top 10 winemakers in Argentina. They also have a restaurant, and you should definitely plan to stay for lunch! The wine is fantastic and the experience is enriching and fun. Not a winery, but Casa de Campo is a great spot for lunch. You’ll find it packed with locals and very little English being spoken by the staff. What you will get is an authentic Argentinean meal at a great price. Ask your driver to help you order if necessary, or just go with the tasting menu, which will give you a fairly large portion of a lot of their famous dishes. One of the best places to stay is right in the center of Mendoza city, where you don’t need a car to get around. You can walk to many great restaurants and bars, including the really awesome Vines of Mendoza, which we highly recommend. However, one of our favorite hotels is on the outskirts of town, and I wouldn’t shy away from staying there either, if you like something more quiet. Our third recommendation is more wine related and a fantastic experience. I’m pretty convinced you’re going to love Mendoza. It’s such a beautiful place to visit, even if you don’t like wine, but if you do… you’ll be in heaven! This entry was posted in Wine and tagged Argentina, Mendoza, wineries. What a great roundup! I went to Mendoza many, many years ago and visited a couple of the older wineries like Pascual Toso. I should go back now and visit the new ones. I’d really like to get back to Mendoza myself. There are so many wineries, it would take years to visit them all! This is an interesting list but a bit disappointing. I live in Buenos Aires and have been to Mendoza 10 times now and this list mostly represents the large wineries that are always talked about in all travel publications due to their large marketing budgets. All of these wineries have received money from foreigners and are generally not owned by Argentines. There are so many more interesting and beautiful wineries in Mendoza that are not mentioned here (Lagarde, Mendel, Zorzal, etc) that I would recommend visiting. You’re very right, John. There are dozens, if not hundreds, of other great, small, family-run wineries in Mendoza that are highly recommended. This list represents only a very small portion of the great wineries in the area. You’re lucky to live so close and be able to check out so many of the others. I wish I’d had months to do more exploring. We’ll be back in the area soon and will report on some of the ones you mentioned. Thanks! Well there’s a winery/lodge/restaurant called Alpasion. Have you heard of it? It’s really wonderful. It’s a small lodge which is very cozy. The food is absolutely mouth watering. But the best part is the wine. You have to pay that place a visit. You can even enquire online. Thanks for the info, Himanshu. Have just found your website, via a search for wineries around Mendoza. Name is David Walter, Houston, Texas. Have made initial deposits for a one week trip to the Patagonia with a short after trip to Mendoza to see the city and a few wineries (as time allows). Will try to extend the trip since already there, but may be locked in from a group travel rate. Will try to talk airline making the flight back to Houston to see if I can’t pay something extra and stay longer. Will peruse the comments on the list for the names of some lesser commercial wineries to visit. If not a complete list, at least a good start. Have taken German and Mandarin Chinese and now on a crash course to learn Spanish. Have started and have three months yet. Trip October 17-25, main trip, then to Mendoza October25 – 28. Thanks for any time and suggestions you can make. Hi David, Sounds like you’ll need to iron out your dates before you can start planning. We’ve put all of our recommendations in this post and I would encourage you to start there. There are plenty of wineries listed here to keep you busy for a full week. We are visitîg Mendoza next week. Which are the wineries u would recommend? We will stay around Lukan de Cuyo. thank you for ur advise!!! 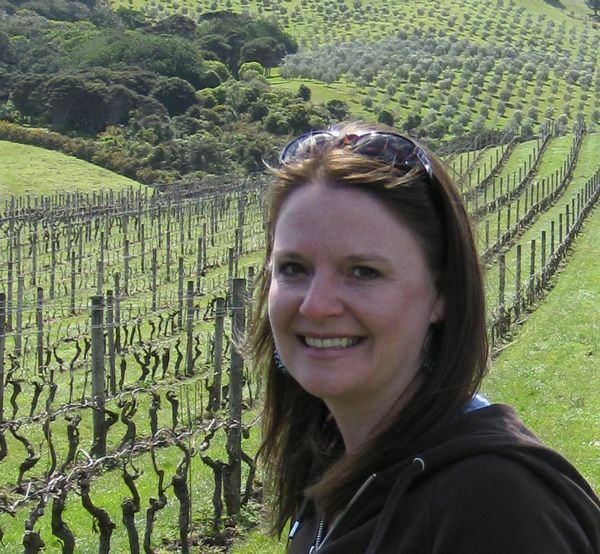 Hi Ana, We’ve personally been to and highly recommend all of the wineries on this list. If you’re going to Lujan de Cuyo, do check out the ones we’ve recommended in that area. You can’t go wrong with any of them. Hi, Laura is true that every time there are more wineries that open doors to tourism, I actually live in Mendoza and I think that definitely you need to hire a car to visit wineries (with driver) in my opinion is not so expensive for people from US because the change is very good for you. Definitely you need one day for each region Maipu, Lujan and Uco Valley and you can’t visit more of three wineries per day perhaps four, having tasting in each winery and lunch with tasting in one of them. Don’t forget to do reservations to visit wineries and some times one month before like Catena Zapata. Gustavo: Will be trying to extend a short trip to Mendoza after a longer trip to the Patagonia. Oct 17-25, Mendoza Oct 15-Oct 28. If I can change my return flight to stay longer, even though trying to learn Spanish over the last 2 months, like your suggestion of a driver. Any suggestions of lodging, wineries, restaurants. I would like to ask for your permission to translate your post to spanish and use it in my blog, obviously citing the source. My fiancé and I are going to Mendoza in 2 weeks and were wondering if you had any more hidden gems? I reached out to Gustavo (above) about hiring his drivin service and will leave a review if we connect. Hi Stuart. That’s awesome that you’re going to Mendoza. I love it there! Definitely stop by Vines of Mendoza shop in town, and their resort. Francis Mallman’s Siete Fuegos is great for dinner. My other recommendation would be to make sure you find a good, knowledgeable driver who can make local recommendations for you. We found some really great wineries because of that. Also, if you plan ahead, you can schedule to just have tastings at some of the wineries instead of a full tour, which can become tedious after the first few. If you have any other question, feel free to email me. We’re going to Mendoza Christmas week. Are there any boutique wineries that have spectacular wines that we should visit? What would you recommend for New Year’s eve dinner? Some family wineries that we loved are Clos de Chacras, Domaine Bosquet, Carmelo Patti. There are so many. It would be worth it to visit Vines of Mendoza and try some wines to see which you like most for a visit. I’m not sure where there might be New Years Eve parties, but I would personally try to see what big wineries are doing pairing dinners for NYE. Your hotel should be able to help you with that. I would highly recommend to the list of excellent wineries you posted one of my all time favorites, also has an excellent restaurant and probably architecturally the most stunning of them all: Bodega O’Fournier. On my way to my own vineyard I will take my fiancee this trip for her first time and we will visit some of my favorites as well as take some of your suggestions. Unfortunately Catena Zapata did not have anything for us on relatively short notice. So those that are going, this is also a winery you want to visit and yes…make reservations well ahead of time. None of these wineries usually allow popping in for a tour. The exception Salentein. At Salentein visit the art gallery as well. Part of your ticket. Hi Martin. It’s a very good point you make that the wineries in this area don’t allow for pop ins. They often even have a security clipboard with expected names on it. We didn’t get a chance to visit O’Fournier yet, but we’ve had their wines and love them. Excellent recommendation. Hi Laura, great list. We just got back from a week in Mendoza and visited many of the wineries you mentioned in your list. However I was surprised you didn’t mention Lagarde! We had an absolutely fantastic multi-course lunch with wine pairings in their garden. Was the highlight of our trip. Not only were the wine pours limitless, but the food was the best we had the entire week. We ended up staying so much longer than we anticipated. Highly recommend a visit if you haven’t tried it. Oh and we splurged on two nights at the Cavas hotel, what a sublime experience. Hi Francesca. So happy to hear that you loved Mendoza. We’re always finding great new wineries – very good to hear about Lagarde. As you know, there are just too many to choose from. Thanks for the latest recommendation to add to our list. Did you have an opportunity to meet Sebastian Zuccardi? Hi guys congratulations on your postings and information. We are writing from Carmelo Mountain Lodge a place that you probably would like to know, please if interested contact us for exclusive arrangements for you.